LOOKING to escape the winter blues? Dreaming of a ‘spring clean’ holiday that will leave you revitalised and refreshed? 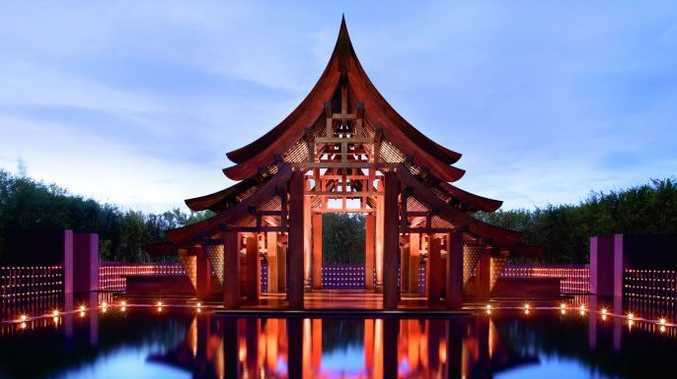 From shopping, spas to sea and sand, Thailand is the perfect place for a therapeutic break. To ensure your wardrobe is ready for the onset of a steamy summer the perfect place to shop til you drop is in Bangkok. Relax and unwind after a full days shopping at Tower Club at lebua with in room massages, and a plethora of food and wine options at the world famous Dome – home to six restaurants and bars overlooking the Chao Phraya River and the city of Bangkok. Relax at the Sky Bar located on the 63rd floor and suspended in the sky, before enjoying a chefs tasting menu at Mezzaluna, or for those you love their whiskies, Cognacs, vodkas and fine wines why not enjoy a tipple at Distil with a large collection of single malt whiskies and selected wine from around the world – all while relaxing to the soothing sounds from the resident DJ. After a few days soaking in the cultural and shopping delights Bangkok has to offer, lebua Hotels & Resorts have joined with Phulay Bay, Krabi (A Ritz Carlton Reserve) so you can soak up the warm rays of sunlight in this magnificent hidden retreat. Enjoy two days of luxury surrounded by the limestone mountains rising from Thailand’s Andaman Sea, rainforests, beaches and crystal clear waterfalls. For further details, log onto lebua or for reservations contact Tower Club, lebua Hotels & Resorts on telephone: +66 2 624 9555.